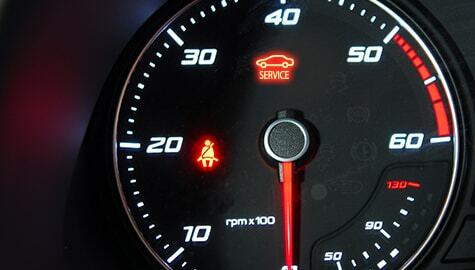 The "Maintenance Required" light is an important reminder for you to service and repair your vehicle. This light automatically comes on after a certain amount of miles specified by the factory. When you see the "Maintenance Required" light come on your dashboard, it's time to take your vehicle into I-70 Auto Service in Kansas City for a tune-up. I-70 Auto Service is a trusted auto repair facility in central Kansas City. Our auto mechanics would be happy to diagnose your vehicle to pinpoint any specific problems and provide the needed maintenance. I-70 Auto Service is an auto repair facility you can trust and rely on. We have been serving Kansas City car owners for over 40 years, and we look forward to many more years ahead. Since we began our business in 1976, we have been striving to provide our customers with fair and honest service. We totally get it. Your vehicle is a major investment. To help protect your investment, we encourage you to bring your vehicle into our shop, as soon as the maintenance required light appears. Our auto mechanics will service your vehicle quickly, efficiently, and thoroughly. We will try our best to have you back on the road on the same day. From the moment you walk through our doors, we are working hard to earn your trust. We care deeply about our clients. Our heart is in it. If your maintenance required light is on, don't take any chances. Contact us to schedule an appointment. Our team looks forward to taking care of you and your vehicles.